Do you support our Cougars? Please see the front office for a donation form. 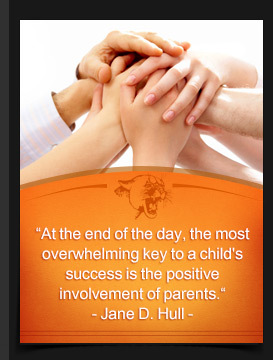 Your family’s involvement is extremely important to us here at Lee Academy. Our Cougar families have always been in charge of our many fundraisers and service projects. We couldn’t do it without such a great and supportive community! Take a look to see what you can be involved in. The Grandmother’s Club is comprised of the grandmothers of current Lee Academy students. This club helps to raise money for our school through fundraisers and generous donations. They are also responsible for many projects that have transformed Lee Academy. A few of these projects have included obtaining new curtains for the stage, purchasing electric pencil sharpeners, sending students to space camp, providing teacher bonuses, and purchasing brand new science and math supplies. The Academy Family Foundation (AFF) is a fund raising organization comprised of academy moms. This foundation does everything from selling drinks to students at lunch to running our school book fair. The funds raised go toward many different projects designed to make Lee Academy a better place for our students to learn. Our Booster Club is dedicated to supporting the endeavors of all of our Cougar sports teams. The Booster Club is responsible for raising funds to pay for all sporting expenditures. From team uniforms to new sports equipment to fuel for the travel bus, our Booster Club is responsible for it all. Help out our Booster Club by volunteering or by attending one of our sporting events and checking out the concessions stand. If you love athletics, please consider volunteering. There’s a place for everyone! Go Cougars!